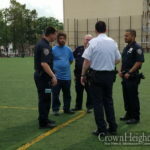 Cooperation between Shomrim volunteers, police officers and the community led to a positive outcome after two backpacks – one containing an iPad – were stolen from Jewish children in the Hamilton Metz Field park on Lefferts Avenue. 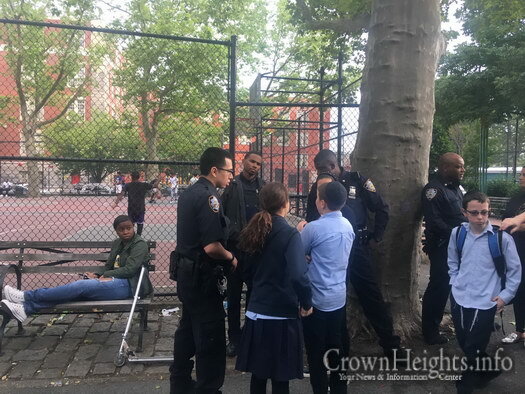 According to Shomrim, which received multiple reported incidents in “Lefferts Park” involving pre-teen trouble-makers, they received a call after two backpacks were stolen from Jewish children who were playing in the park. One of the backpacks contained an iPad. 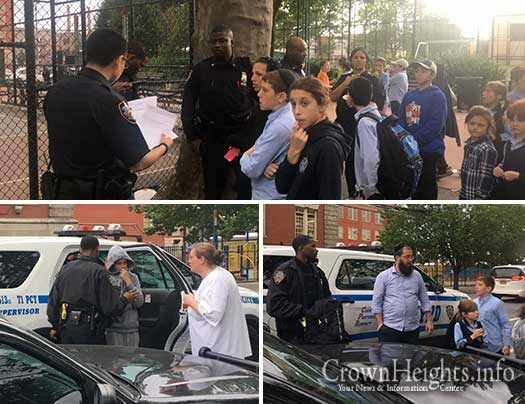 Shomrim volunteers arrived at the park and learned that the victims, who first notified their parents – who in turn called Shomrim, were playing in the park when their backpacks were stolen. 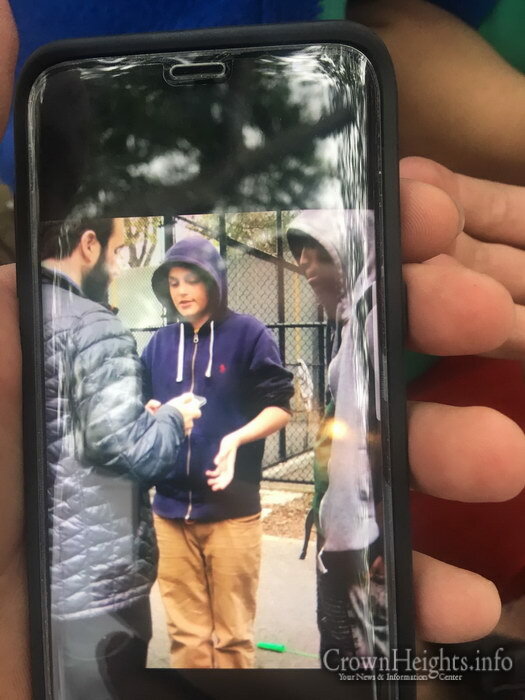 Witnesses described the thieves as a group of pre-teens that have been bothering park-goers on many occasions in the last few weeks. A picture of one of the suspects, which was captured during a previous incident, was provided by witnesses. 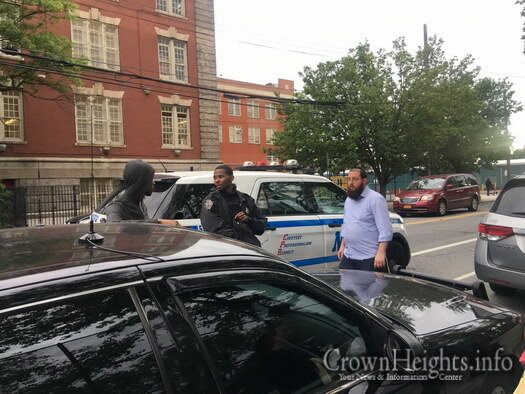 Shomrim called 911, and officers responded and took the victim and his mother for a search of the area. 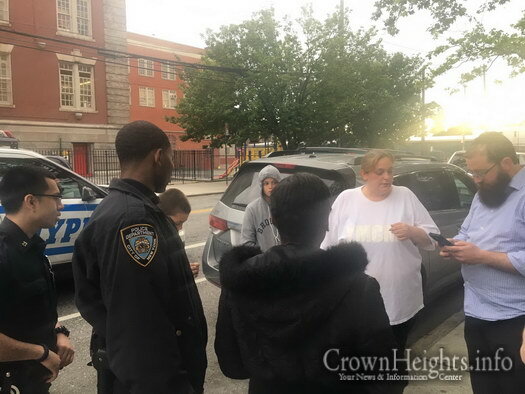 Meanwhile Shomrim volunteers conducted a local search and located one of the backpacks a short block away from the park. 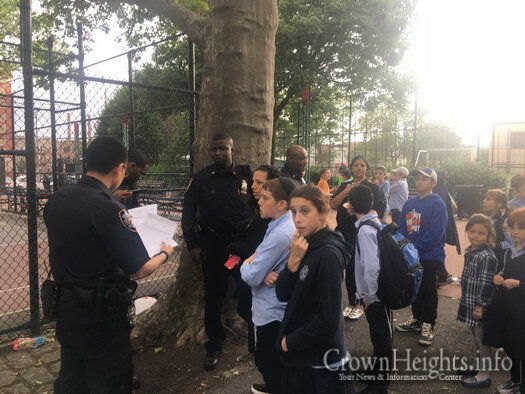 A little while later, Shomrim spotted one of the pre-teen suspects and kept an eye on him, while police were called to return to the park. 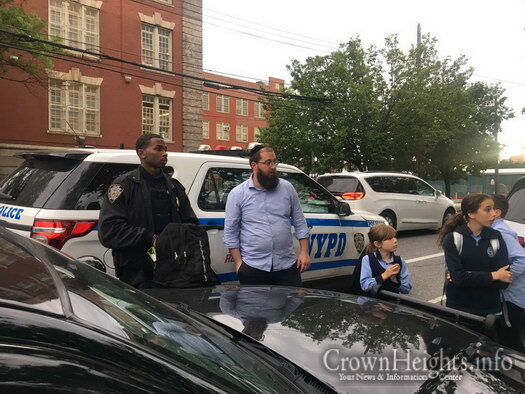 Sensing something was up, the kid approached Shomrim and vehemently denied being a part of the theft, even offering to lead Shomrim to the stolen backpack. 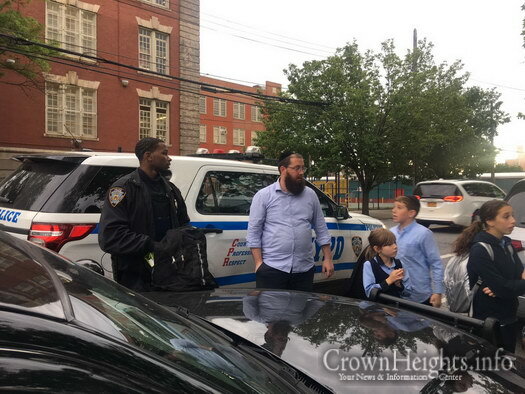 Police arrived back at the park and – together with the victim and Shomrim – were about to head over to the home of the suspect and retrieve the backpack, when two women, accompanied by another boy, approached the officers and handed over the backpack containing the iPad. The women, mothers of each of the two boys, apologized profusely and begged the forgiveness of the victim and his mother, while promising to ground their sons and prohibit them from going to the park. In light of the parents’ intervention and the return of the stolen property, the victims declined to press charges. 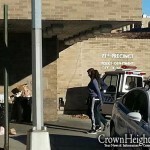 The mothers then gave Shomrim their phone numbers and asked to keep in touch if there were ever any problems in the future. 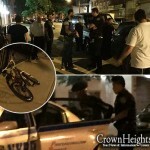 Impressed how Shomrim handled this matter with out most professionalism. The police department needs to do more crackdown on these delinquents. 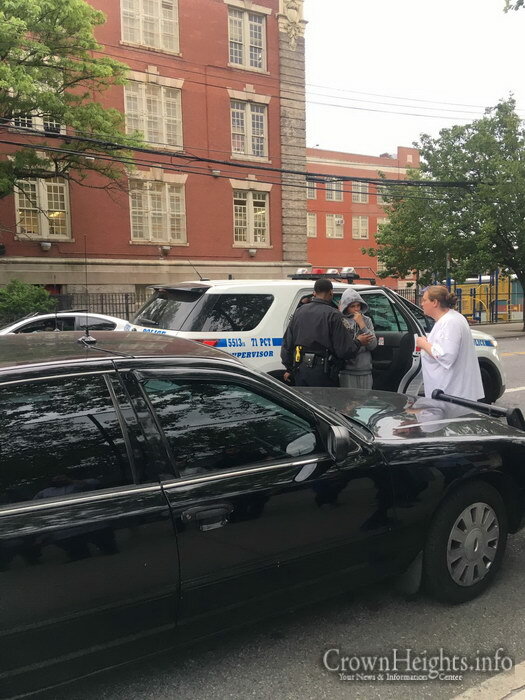 Great work by the police and the shomrim at lefferts park and thank you to the parents of the teenagers for stepping up and returning the other briefcase! Sign of the times: Our kids have iPads in knapsacks! Nebech!! Why are kids going to school with an iPad? More importantly after yeshivah a child should go home eat and do homework etc.. Only then go to the park and without valuable gadgets just his baseball equipment, this way an iPad won’t get stolen! So unlike the fake news site reported there were no arrests and there was a good outcome facilitated by the police and shomrim and the teens parents. A good crown heights story all around. This son… whose name rhymes with Havitch… is the one who made up to story that the kids were locked up when they were not… Je has a history, see….? Classic example of community and police making it happen. many schools actually use ipads for learning. so its not unusual for him to have one in his bag. All the holy people forgetting the mishna of being “dan l’kaf z’chus”. It is amazing how many people make assumptions about why kid may have an iPad. My son is in treatment for cancer and has an iPad because he spent a lot of time out of school and sometimes takes it with him when he’s feeling down. Please do not jump to assumptions. But if he has cancer its acceptable for him to have unfiltered internet? I don’t know what color the thief was, but at least the cops didn’t shoot him or send him to Rikers for three years. Still, I wouldn’t be so quick to forgive. It has to go before a juvenile judge so there’s a record. If not, the kid will do it again and again.